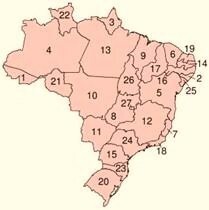 The Federative Republic of Brazil (Portuguese: República Federativa do Brasil) is the largest and most populous country in Latin America and the fifth largest in the world. Spanning a vast area between central South America and the Atlantic Ocean, Brazil borders Uruguay, Argentina, Paraguay, Bolivia, Peru, Colombia, Venezuela, Guyana, Suriname, French Guiana. 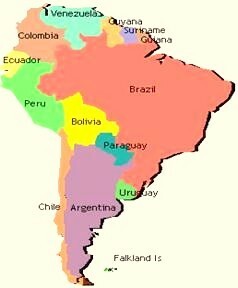 Every South American nation except for Ecuador and Chile borders with Brazil. Named after Brazilwood, a tree highly valued by early colonists, Brazil is home to both extensive agricultural lands and rain forests.